Henri Lloyd has teamed up with Polygiene to launch a range of sports clothing featuring its ‘stays fresh’ technology. Polygiene’s silver salt treatment prohibits the growth of bacteria and fungi in textiles, reducing the need to regularly wash sports clothing. Polygiene uses recycled silver salt, manufactured in the EU, to produce a treatment that it claims can last the lifetime of the product, and is also friendly to the skin. Polygiene inhibits the growth of odour-causing bacteria that builds up on hot, sweaty fabrics and becomes hard to wash out. The treatment adheres to the clothing, reducing the number of required washes, whilst supposedly extending the life of the garment. 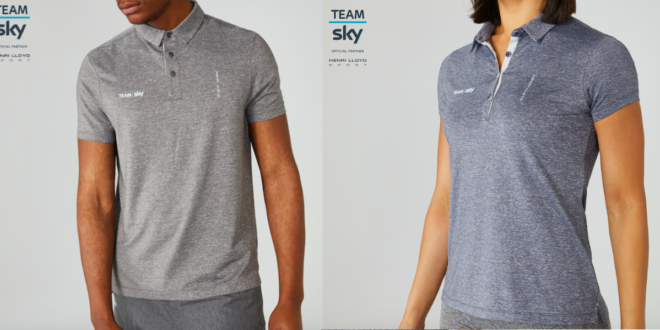 The latest Henri Lloyd Sport range of long and short sleeve tees and Polo shirts will all feature the new technology, which will also make an appearance in the Team Sky merchandise range.